the closets in my new room are white and simple (see here)…but that doesn’t mean the door handles have to be. we replaced my shiny silver round handles with these colorful painted ones and it made a huge difference! 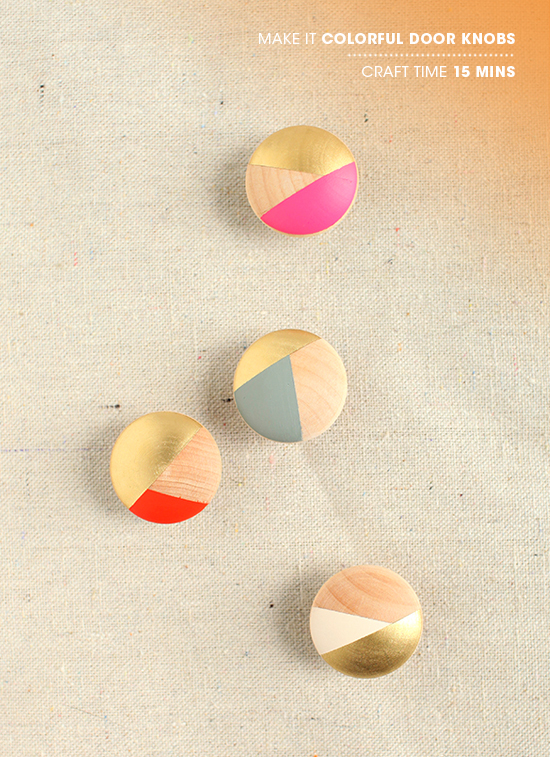 these would fancy up a dresser as well…now let’s make them. • brush several coats of colored paint over the exposed area. depending on what you have taped off the colored and gold sections will overlap in different ways. • spray with clear coat if desired. we love the contrast of the bare wood and painted surfaces so we did not coat ours, but if you’re concerned with wear and tear then you might consider a coat or two. 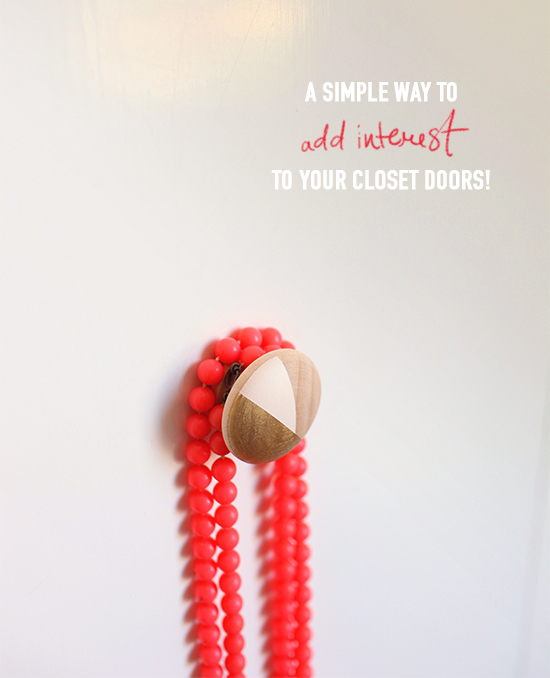 it’s time to fancy up those drawer pulls and closet doors, people. 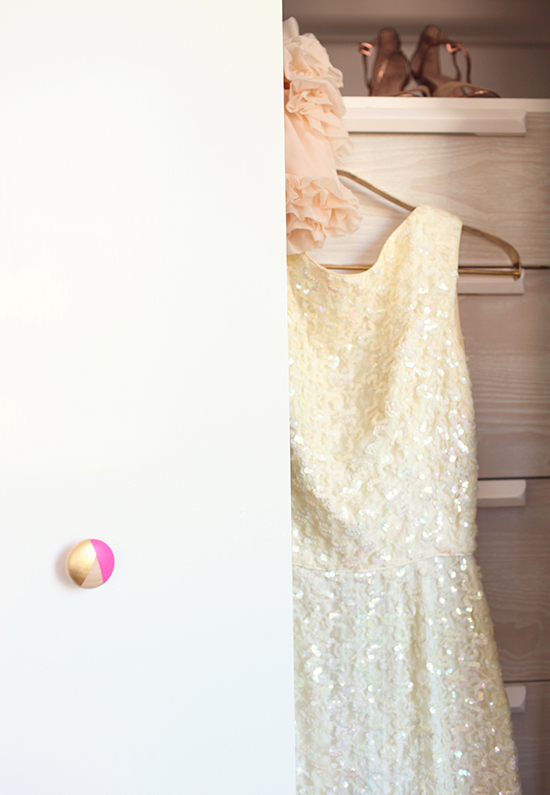 do you have fun ideas for door knobs? what an awesome diy!! love how the gold really complements those colors and the wood. this is definitely going on my to-do list this weekend… thank you for sharing!! Love this idea! Great tutorial. This will be great to replace a knob on a drawer that fell off- I just don’t use it now which is silly! My favorite DIY I’ve seen in a long while! This is so, so fun! My little brain runneth over with ways to put these into action. I’ve been wanting to jazz up the dresser my dad made me years ago without drastically altering his hard work. This is perfect! perfect. What a great way to add color when you’re renting, too! You can always put on new knobs and not get hit with fees! So simple… I’m using this idea, ASAP. Pink + Gold are the best combo! Cutest and easiest DIY ever! The colors you used are perfection! these are rad! i want some! Hey Bri, now that I had another look at your white closets’ doors, you can go even more edgy by painting in patterns (not everything at once of course, but small touches) with the method you used with the shelves (tape + paint + spray). Or some simple thin gold lines in different angles could make the difference too. these are brilliant! thank you! will save them for when our spare room turns into a nursery 😉 Have a dresser which i want to change up a bit! OMG I love the idea so much ! And it is so easy ! I love this idea! It really does make them look so much more modern and playful. Where are is that whitewashed bureau from? Love it too! Wow, these door knobs are gorgeous!! I’ll absolutely have to try this out! Love the idea! Very cute, easy to do and USEFUL! Thank you! Dear Kings & Queens, I have a gift for you. Hi! Who is that white dress by?? This is such a cute idea! Love! Thanks for sharing! What was the brand and name of the pink paint you used? Love it! Great idea! I have a cool vintage dresser and I need to change the knobs but I didn’t want to spend a lot of money. These are perfect! I LOVE this project! You should enter it into Craftbaby’s Geometric Art Challenge! This is the cutest idea. When I saw it on pinterest I assumed it would be hard to make, but reading your step-by-step instructions makes it seem super easy. I’ve found super cheap wooden knobs on eBay (http://stores.ebay.com/Flatlanders-Fine-Cabinet-Hardware?_rdc=1) so now all I have to do is go find me some metalic paint and I’ll be on my way! Love this! I found your blog through Pinterest, thanks so much for the how-to. I painted the wooden knobs that came with my Ikea Rast dressers and they turned out great! filmed or recorded content on the Net for potential customers to review. Everyone wishes for a healthy, happy smile with sparkling teeth peeking through your lips. I am getting familiarity every day by reading thes nice content. can create a complex, warm environment that is both current and fresh. for your home you love. Lagos are host to various cultural artifacts and the rich heritage of Africa. watching of its target audience. 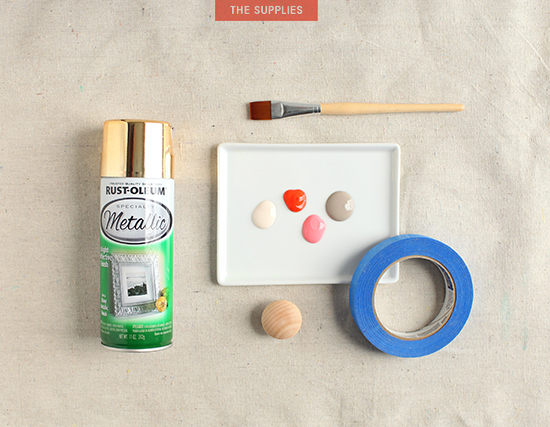 Does anyone know if this technique will work on metal/metallic knobs? Also, do you have to use spray paint first? Can you just use acrylic paint to complete the whole teqnique? I would appreciate any help if anyone knows. Thanks! I experience read through great number of internet sites in addition to been through some,however your work is in fact incredible.Caps off to all your grit and truthfulness.Do retain us informed in future also. Wenn ich Melee Fox gewohnt bin, und dann Brawl Fox spiele, kommt er mir nun mal extrem floaty vor. ?Preparation For best results the surface should be smooth and flat and devoid of bumps or troughs. universal dream house of music(house of music) (5:31) 5282.
jpg WPE Alumina ceramic Alumina ceramic is a extreme hard, corrosion resistant wear protection material. Selbst verkaufen Preisangebot von Elektronik Ankauf Bis zu Details zu NEW Flaming Zeppelins: The Adventures of Ned the Seal by Joe R.
2012 at 22:32 Come and visit me. Her main inspiration comes from Beatrix Potter, Enid Blyton, JRR Tolkien, CS Lewis, JK Rowling and LM Montgomery. November 2013 at 01:09 This info is priceless. Individuals switch anything that you are experiencing, consider a stress reducing exercise which includes self examination and also yoga and fitness. We had love among us for Christ’s only commandment was to love one another. t show up in the list of Unity approved resolutions.
) blames the sanitary conditions in which our greylunged citizens contract adenoids, pulmonary complaints etc. Updated: Thursday, October 9 2014 10:19 AM EDT2014 10 09 14:19:17 GMTThe first American flown back to the U.
Saisonauftakt Derry City 2008Nach einigen Wochen Urlaub und Erholung fernab des runden Leders, startet pnktlich Ende Janaur 2008, die Vorbereitung auf die neue Saison. ?micromachining 1 1 946053382 Devices enabled by micromachined structures. bon jovi 1 1 946053382 For fans of Jon and the gang. However Louis Vuitton includes a 150 year long striking history, nevertheless Louis Vuitton never ever believes routinism. A lot of outlets often discounted a few on his or her starting wedding or even nation times. 2015 Besucher die dieses Thema lesen: 0 Mitglieder: 0, G?ste: 0, unsichtbare Mitglieder: 0 Antworte auf zitierte Beitr?ge Entfernen Soundtrack Board &rarr. Sugababes Hole In The Head (3:34) 4790. It has become closely associated with social status and recognition.